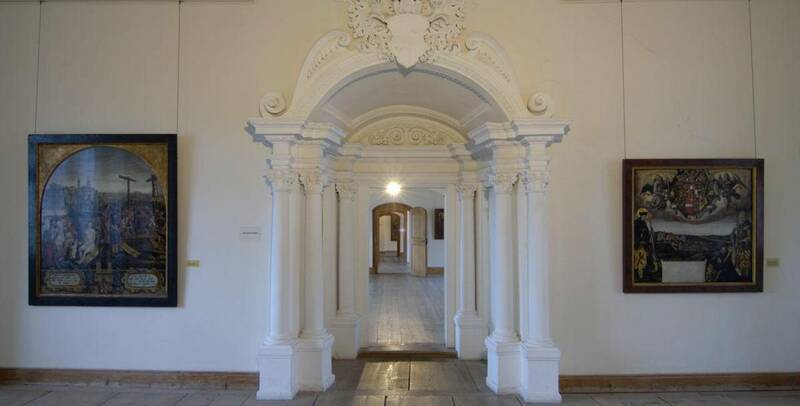 In the medieval complex of the High Palace, high above the town, a branch gallery of the Bavarian State Collections of Paintings was set up in 1931 and reopened in 1977 on the basis of a new concept. The great Knight’s Hall (Rittersaal) with its splendid carved wooden ceiling from the late 15th century is the setting for a collection of late gothic panel paintings and sculptures from the Swabian-Bavarian and Allgäu region. A large part of the holdings come from Prince von Oettingen-Wallerstein’s collection, which he once sold to the Bavarian king, Ludwig I. It contains rich treasures from the Monastery of St Mang, which was dissolved in the early 19th century. Some of the most important pictures are the life-size Salvator Mundi by an Augsburg master from about 1494 and the Sippen Altar by an unknown Allgäu master around 1520. The panels created in 1510 showing the plague and war and the eight scenes from the legend of the holy imperial couple Heinrich und Kunigunde. The Bavarian National Museum has added sculptures from the same epoch and landscape to the collection. Special exhibitions have been added to this collection: Munich Painters in the 19th Century and the Pocci Collection. Pure romanticism in the town next to the castles Neuschwanstein and Hohenschwangau. 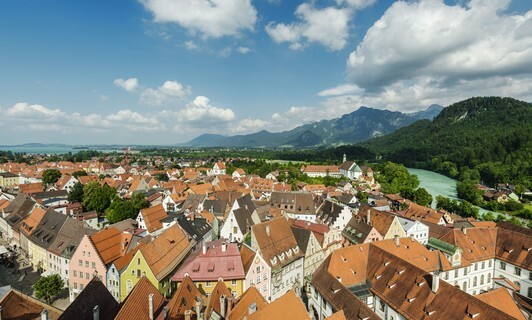 The town of Füssen is located within a uniquely diverse natural landscape: gentle hills, the wild world of the Alps and the idyllic lake landscape right on the edge of the Alpine range. The museuem hosts one of the finest collections of historical lutes and violins in the magnificently decorated baroque halls. 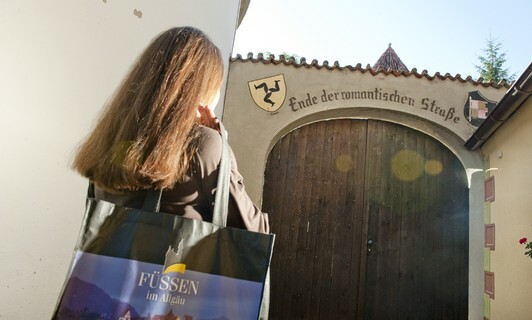 The medieval city centre of fuessen has a 700-year-old-town. 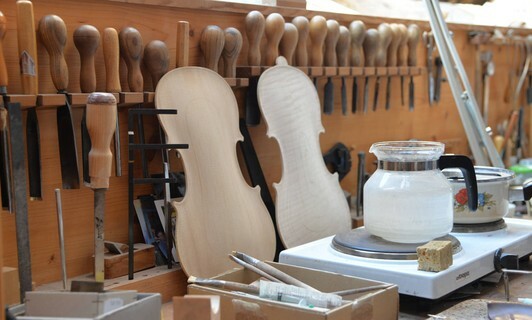 Füssen is the cradle of European lute and violin making. The history of the town is effected by music and the luthiers in the town. 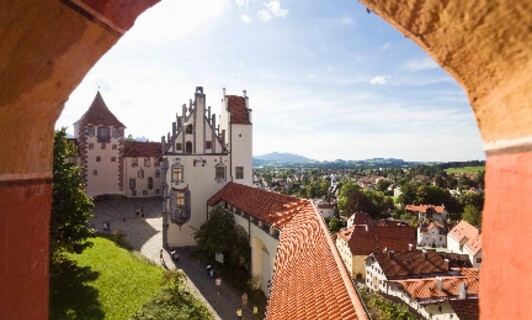 Germany's most popular tourist route conects on a distance of 285 miles (460 km) Füssen and Würzburg. Get the best specials for your holiday!